Traditionally, hunting has always managed very well without electronic gadgets (except for thermal imaging devices, illuminated dots or rangefinders). One could ask now: Won’t the best thing in the world become unnecessarily complicated by a hunting app? Our answer is: No – on the contrary! Because the HuntersMapp makes hunting even nicer, more fascinating and yet simpler – this is our promise to you. Whether it is planning and realisation, preserve arrangement, internal communication with hunters, beaters or like-minded people – all this and much more is as of now possible in a twinkling of an eye thanks to the HuntersMapp! Developed in collaboration with experienced hunters: from practice – for practice! 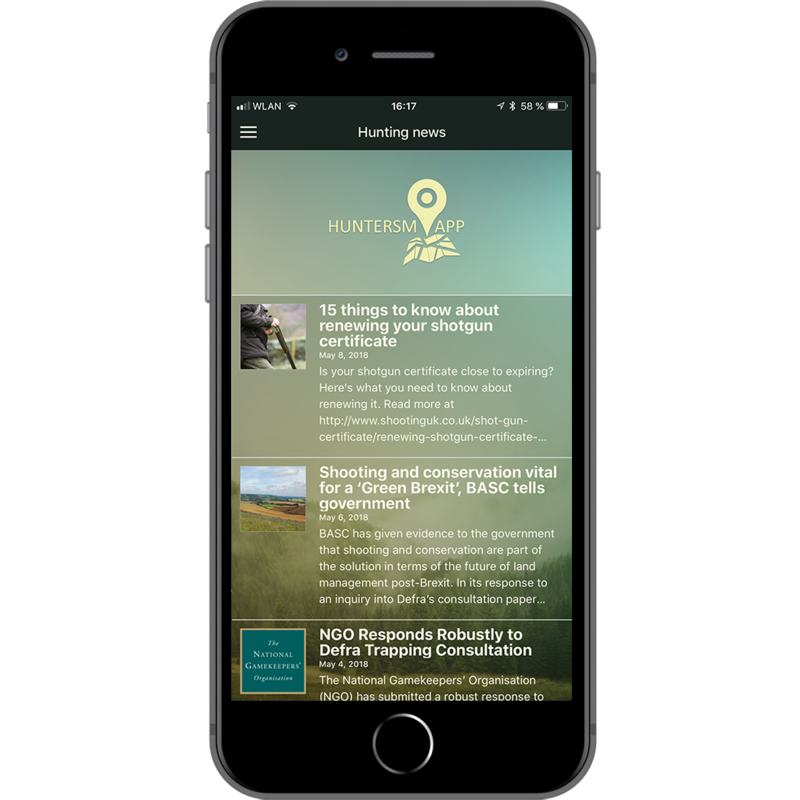 NEW: Thanks to the smart peer-to-peer technology of our hunting messenger the HuntersMapp allows for communication even without public networks. Your advantage: We are collaborating very closely and in a spirit of trust with national and international hunting and weapon associations. But now enjoy the ultimate HuntersMapp! More than one year after the launch of the HuntersMapp, the app has already been installed more than 15,000 times! For us, a reason to celebrate, but at the same time also an incentive to push the development further. Look forward to our next update with many optimizations and new functions!